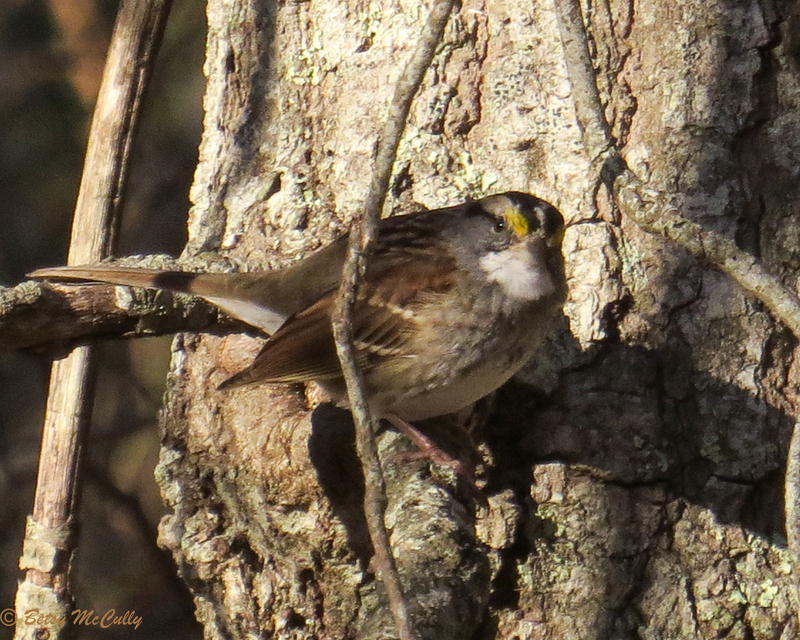 White-throated Sparrow (Zonotrichia albicollis). Forests. Migrant and winter visitor.